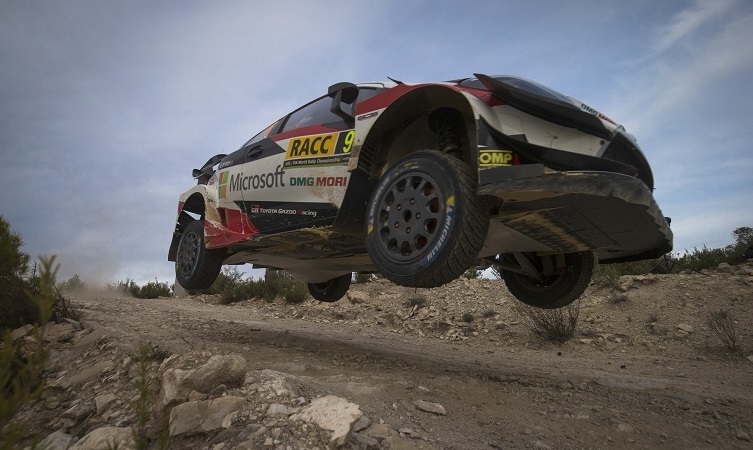 The Toyota Gazoo Racing World Rally Team defended its leadership of the FIA World Rally Championship in this penultimate round of the 2018 season in Spain. 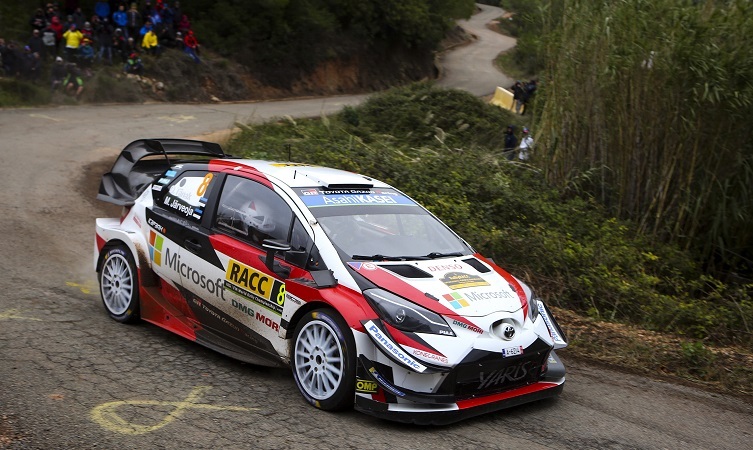 As the only truly mixed-surface event on the calendar, Rally de España provided a thorough test of the performance of the Yaris WRC. The rally proved to be eventful, with Ott Tänak having led the rally until a puncture on Saturday morning relegated him down the order. Nevertheless, the combined effort of all the drivers allowed the team to clinch crucial points and retain the lead in the manufacturers’ championship. Meanwhile, Tänak concluded the event within 23 points of the drivers’ championship with 30 points still available in the final round. Review: Shakedown was held on a 2.0km course just outside the service park, featuring both gravel and asphalt. But with different characteristics to the stages that lay ahead over the weekend, the objective was to check that the systems on the cars worked correctly, rather than apply major set-up work. Jari-Matti Latvala recorded the second-best time, with Esapekka Lappi fifth and Tänak sixth. 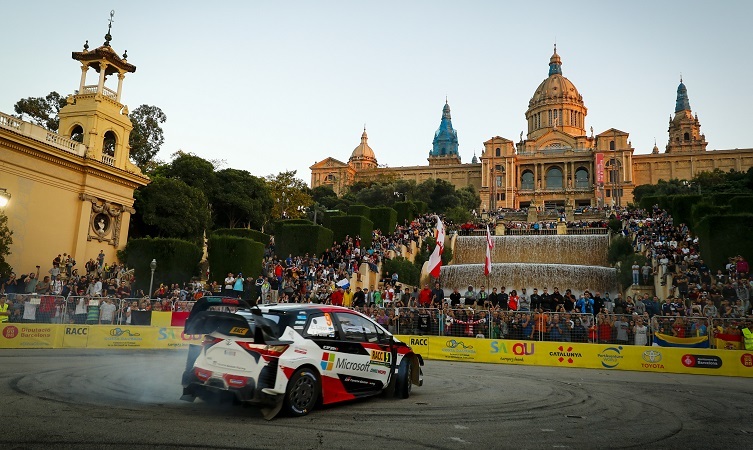 The opening stage was held in the stunning surroundings of Montjuïc, with the cars tackling the asphalt streets in gravel specification in readiness for Friday’s gravel-focused day. 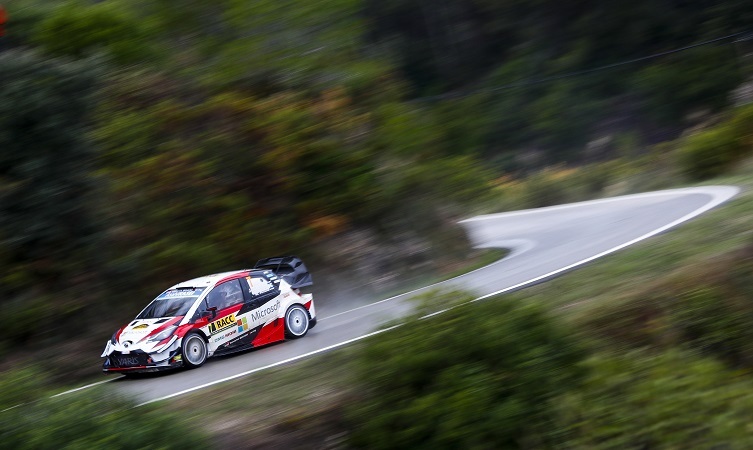 All three Yaris WRC drivers completed the stage without incident, and were within ten seconds of the lead. Tom Fowler (chief engineer): “Our shakedown concentrated on systems checks, which were all carried out with no issues. Although the shakedown stage had a mix of surfaces, there was not so much to learn about car set-up as we were using a gravel configuration. 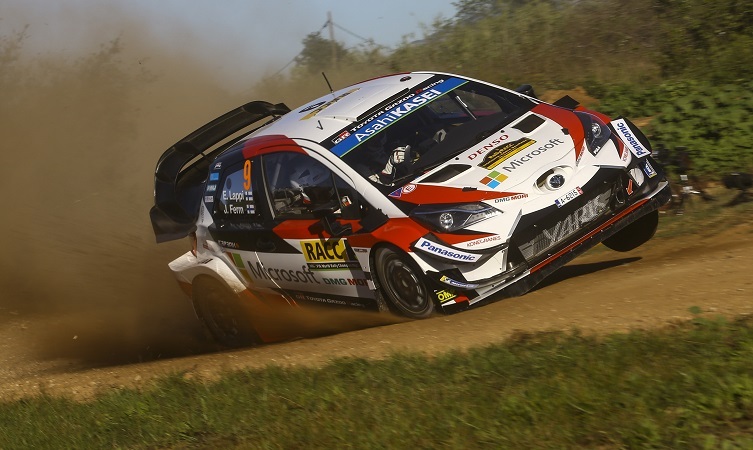 Review: Tänak won the first of the six stages and then claimed the rally lead on the next test, where Latvala set the quickest time to move up to second place. 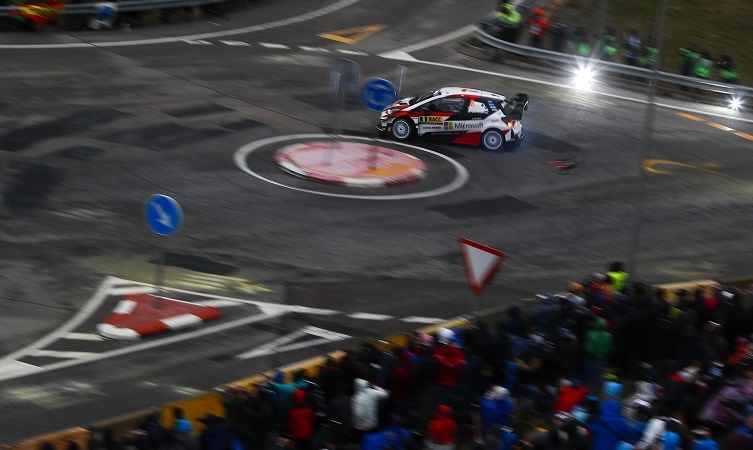 Latvala was on course for another stage win on the long, 38.85km mixed-surface La Fatarella-Vilalba test, when he sustained a puncture that cost him approximately 50 seconds. This gave Tänak an overall lead of 11.7 seconds, which the Estonian extended to 26.8 seconds by the end of the day. His performance boosted his chances in the drivers’ championship, having built a significant margin over his two title rivals with two days on asphalt remaining. This was despite being only just behind them at the front of the road order on today’s loose gravel roads. Tommi Mäkinen (team principal): “It’s been a brilliant day for Ott, who has shown again just how strong he is at the moment. We can see that the fight for the drivers’ championship is most definitely still on, and it’s a really exciting battle between the three drivers. Review: The change of surface from gravel to asphalt was met with the further complication of heavy rain, which created a dilemma over tyre choice. The Toyota drivers opted to take the full wet tyre for the morning loop. It was a decision that looked inspired when Tänak and Latvala were quicker than anybody else on SS9, which allowed Tänak to increase the lead he built during Friday to 32.9 seconds. However, on SS10 Tänak had to stop and change a damaged wheel and tyre. He finished the stage 1m 43s down and dropped to ninth on the leader board. Meanwhile, Latvala and Esapekka Lappi kept up the strong form of the Yaris WRC with another one-two on the stage. Jari-Matti Latvala (driver car 7): “To be leading after our issue yesterday is a great feeling and shows why you should never give up. The conditions were very demanding all day with the rain and lots of mud coming onto the road. The car was working well though and I think our tyre choices were good. Review: On the final day Tänak was able to move up to sixth overall and post the best time on the Power Stage, earning five bonus points to leave him within 23 points of the drivers’ championship lead with 30 points still available. Latvala produced a stunning fight-back from a puncture on Friday to lead on Saturday night at the head of an extremely close, six-way battle. He was lying second and still firmly in the fight for the victory when he touched an armco barrier on the penultimate stage, leading to wheel damage and a flat tyre. After having to take a safety-first approach to the final stage, he finished up eighth overall. The thirteenth and final round of the 2018 World Rally Championship is Rally Australia, which takes place on 15-18 November.